OnTheWight reader, Nicky Hayward, has been in touch with some sad news and a warning for dog walkers. 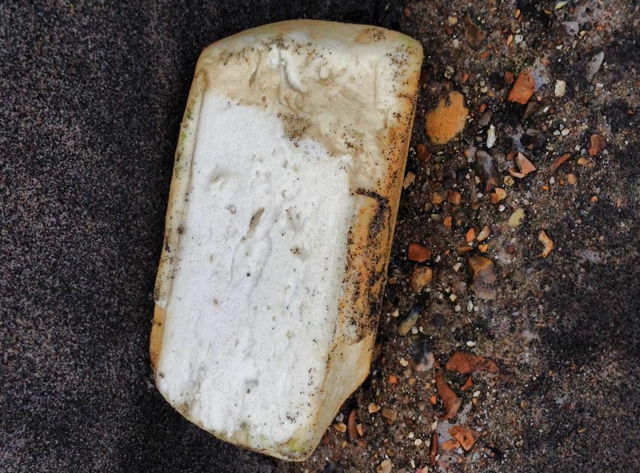 A small much loved terrier is seriously ill following contact with Palm Oil on the beach. For those who thought the problem had gone away, it hasn’t. This happened off Seaview, so dog owners be careful around Appley, Springvale, Seaview and Priory beach. Last week another reader got in touch pointing out he’d seen what he thought was Palm Oil near the beach huts between Sandown and Shanklin. He’s informed the authorities, but echoes the warning from Nicky for dog walkers to be vigilant. 1 Comment on "Dog walkers beware: Terrier seriously ill after contact with Palm Oil"